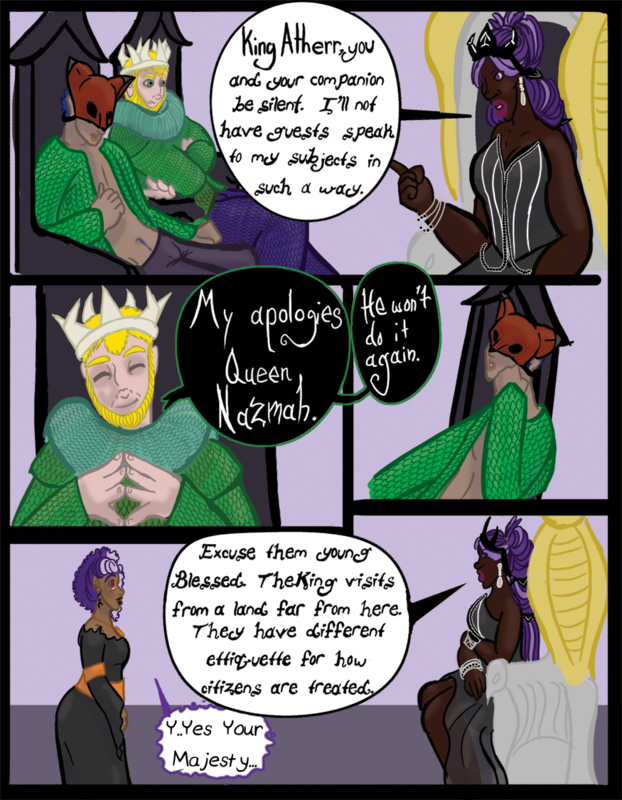 Chapter 05- Queen Nazmah - "Chapter 5 Page 8"
Queen Nazmah: King Atherr, you and your companion be silent. I’ll not have guests speak to my subjects in such a way. King Atherr: My apologies Queen Nazmah. He won’t do it again. Queen Nazmah: Excuse them young Blessed. The King visits from a land far from here. They have different etiquette for how citizens are treated.